As I research my blog posts, I spend a lot of time reading forums written by actual experts, learning all that I can about PC parts and how they work together. In all the articles, blog posts, and everything else I've read, the single bit of computer-building advice most often offered is this, "Don't skimp on your power supply." It's an easy thing to do! No one's pockets are bottomless when gathering PC parts, and when you're comparing two, seemingly identical, power supplies with a $40 or $50 price difference, the more expensive one can be a pretty hard sell. There is so much more to consider than just watts, however. Factors such as efficiency, reliability, amperage, and others are just as important as wattage in picking a power supply for your PC. In the United States, power flows from a wall plug at around 115V. The components in your computer, on the other hand, require roughly a tenth of that. So, in effect, plugging a motherboard or a video card straight into the wall would be like filling a shot glass with a fire hose—not only is it overkill, but it would probably destroy the shot glass. The job of a PSU (Power Supply Unit) is to accept the high-voltage, fire-hose-like input from the wall and to convert it into a much lower-voltage output that computer components can actually make use of. Since no part of your computer can function without power, your power supply has to be the hardest working, most reliable part of your system. This is why skimping and buying a cheap, non-reliable power supply is such a big no-no. 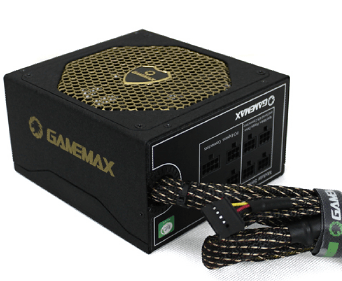 If you look at an ad for a power supply, the first thing you'll notice is the number of watts that the PSU can output. This is an important specification to pay attention to since it defines the amount of raw power the unit can output. However, the problem with the Wattage rating on a power supply advertisement is that the manufacturer isn't always telling you the amount of power the unit can supply continuously. A cheap power supply may be able to supply 500W for a few seconds but only be able to maintain a steady flow of 250W over time. For this reason it's not really safe to take the advertised wattage at face value, especially if it comes from an unknown or generic brand. So, now that we've covered some intro junk, let's talk about how to actually choose the power supply! We'll cover 80+ Certification, wattage, efficiency, amperage, and features. 80+ certification was devised in 2004 by several of the industry leading power suppliers to give consumers a way to tell which products were quality and which weren't. 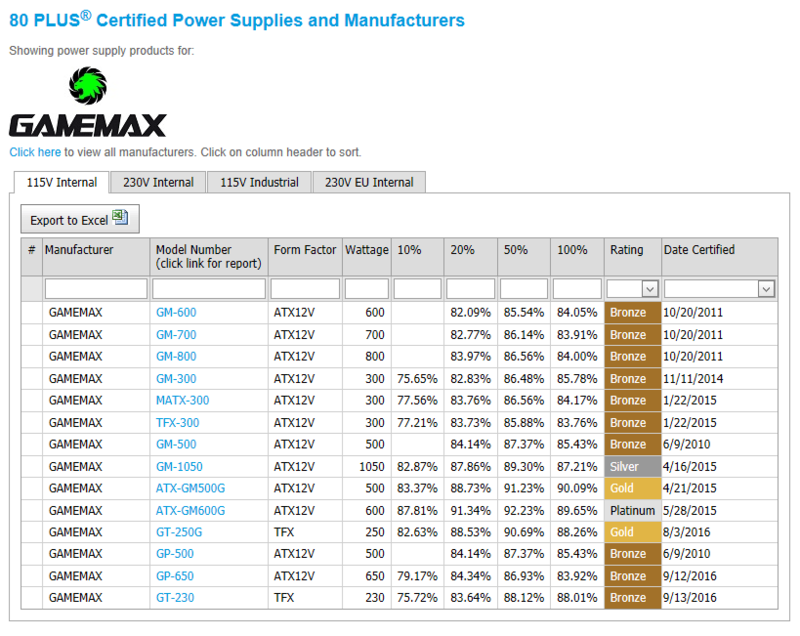 To earn 80+ certification, a power supply must meet certain levels of efficiency. The 500W power supply we talked about earlier, running at 50% efficiency, would draw 500W from the wall and output 250W to your computer parts. The other 250W would be wasted as heat. 80+ certification requires that a power supply remain at least 80% efficient at three specified loads (more on loads in a minute). This means that a 500W power supply with 80 + would output at least 400W at a standard load, losing only 100W as heat. Buying 80+ certified effectively counters the wattage problem, since manufacturers cannot advertise wattage their products can't output and still pass the certification process. Beyond the basic 80% requirement, there are 80+ Bronze, Silver, Gold, and Platinum standards, which require even higher levels of efficiency from tested PSUs. Also, there are some companies that will declare 80+ certification on their products without actually earning the standard. To combat this, check your power supply against this list of all power supply model that have the right to advertise 80+. As of this writing there are 2859 power supplies that have gained the standard, so there are plenty to choose from! Once your search is restricted to 80+ power supplies, you can start paying more attention to wattage. The number of watts a power supply outputs is very important to your system; it effectively determines the total number and type of components a PSU can support. Low-end systems with just motherboard, CPU, RAM, and hard drive can get by on very little; 200W to 300W would be plenty. 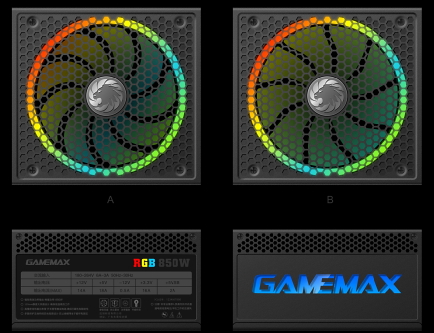 Higher-end machines, however, with discrete graphics cards, multiple hard drives, demanding processors, and other components may require much more, 600W to 800W or more! You can roughly estimate your machine's power requirements by adding up the needs of each individual component. Desktop processors typically range from around 45W to 125W and should state their requirement in their specifications. Motherboard chipsets requires 40W to 70W depending on their make and configuration; hard disk drives require 12W to 20W, solid-state drives often use 5W or less. RAM requires only 2-3W per DIMM slot you're using regardless of the memory capacity of the module. The most demanding component you can install in your PC is likely to be a video card. Low-end, passively cooled cards may run on 20W to 30W but high-end performance cards can draw as much as 300W all on their own! Manufacturers of said video cards will typically report some kind of power requirement along with their product specs. If adding isn't your thing or you want confirmation to your calculations, you can always use a power supply calculator like this one. This tool will allow you to choose some of the actual components you intend to use in your build and will provide a pretty good estimate of your requirements. If you do this, you're far more likely to be surprised by how little you need, rather than how much! Efficiency determines the amount power that is wasted as heat while a power supply does its job of converting wall power into usable energy. If you're sticking with 80 PLUS certified units (as you should be), this really isn't that big of an issue, since that's really what the certifying party is measuring. But, since most "how to pick a power supply" articles cover it, I will too for the sake of completeness. The percentage which determines efficiency can be gotten by dividing a power supply's total output by its total input. To take our example from before, a 500W power supply, at full load, would draw 500W from the wall. If it output only 250W to your PC and lost the rest as heat, then would only be running at 50% efficiency. If it output 400W, losing only 100W as heat, then it's operation at 80% (enough to gain 80+ certification). 80+ doesn't have any requirements for other loads however, so when at a 30-40% or 60-90% load, even an 80+ certified device may not be operating at 80% efficiency. To deal with this, you should choose a power supply that closely matches your requirements. If, for example, your machine needs 450W to run, then a 550W power supply, which would output around 450W at full load would be about right, where as a 700W power supply would put you outside the optimal range and may see a hit in efficiency. The difference probably won't be that great, but there it is. This is definitely the most difficult to understand part of a power supply and is really only important if you're planning on putting high-end graphics cards into your system (but then it's really important). One feature that's been cropping up in power supplies for the last couple of years is modular cabling. Using modular cables allows you to unplug and stow away cables that you don't intend to use. Opting for this feature means you'll have a cleaner looking case, less junk for dust to stick to, better air flow, and a random bag of cables that you'll have to put somewhere (but that's not so bad). PFC stands for Power Form Correction and comes in active or passive modes. I'll say outright that this one is a little bit over my head, and isn't really that important anyway. It has something to do with tweaking the waves by which power travels so that it synchronizes the ways it supposed to. The type of PFC a power supply has doesn't have any impact on efficiency, energy use, and actually has very few tangible benefits for a home user. Check out This guy, and this guy if you'd like to know more. So long as you're buying an 80+ certified power supply of the right wattage, and assuming the wants you have for your system are fairly standard, you probably won't have to spare a second thought for the connectors. Watch out for your PCI-Express connectors though, since those can come in 6 and 8-pin depending on what your card requires. An 8-pin can power a 6-pin, but not vise versa, so if you've got an especially power-hungry card, make sure you're buying the right connector. Also, if you're going to run SLI or CrossFireX graphics, make sure that you've got enough connectors for all your cards. PgUp : Why get a Micro ATX Power Supply? PgDn : What power supply do we recommend?